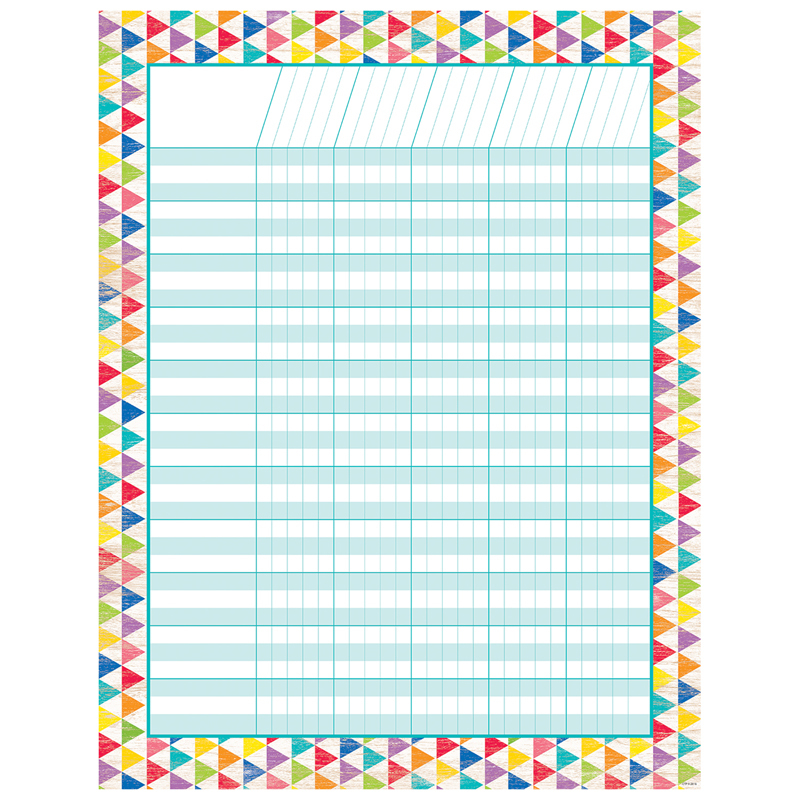 The simple, but colorful geometric design makes this Rustic Triangles incentive chart a perfect fit for ANY classroom! The brightly colored triangles, simple turquoise lines and rustic design are versatile for all ages and types of uses. Space for 33 student names and 25 assignments.